Leandro Soriano Marcolino is a lecturer (assistant professor) at Lancaster University. He obtained his doctorate degree at University of Southern California (USC), advised by Milind Tambe. He has published in several key conferences in AI, robotics and machine learning, such as AAAI, AAMAS, IJCAI, NIPS, ICRA and IROS. He received the best dissertation and the best research assistant award from the Computer Science Department at USC, had a paper nominated for best paper from the leading multi-agent conference AAMAS, and had his undergraduate work selected as the best in the nation by the Brazilian Computer Science Society. Leandro completed his masters degree in Japan (with the highly-competitive Monbukagakusho scholarship) and his undergraduate degree in Brazil at Universidade Federal de Minas Gerais (receiving a gold medal for finishing the course with the highest grades). His research interests are multi-agent teamwork, machine learning, robotics; with emphasis on coordination and collaboration. 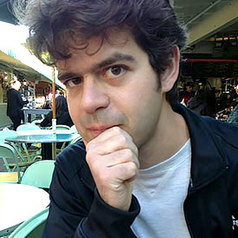 Leandro has conducted this research in the context of a variety of domains, such as swarm robotics, computer Go, social networks, bioinformatics and architectural design.